Continuing trying to restart my electronics obsession. Actually have an Adruino development system going & will set up an Atari 8 bit this week. So while perusing data sheets and what not I found this http://www.vlsi.fi/e...s/vs23s010.html& exercised my PalPal account to buy 10. If anyone reading this has the inclination to do some hardware hacking like DMSC , Michael, Bob, or Flash wants one, probably at least 5 are spares that I will never use. I'll lick a stamp and send you one gratis. Makes more sense to give them away then let them corrode on a shelf for a decade or two. I couldn't resist the price break at 10 items. I already have designs and software, mostly from other peoples work. SPI should be near right bit banging on the Atari PIA and parallel 8 bit mode should just require a single chip for separate R W lines the device needs. On talking with the VLSI developers, chip will need to be bit banged SPI to set up mode i.e. 640X480 at which time you can continue using SPI or switch to using it as 8 bit NAND type memory for reads and writes. Something like 131k of 8 bit NAND memory available that can be used for display or storage. Edited by ricortes, Mon Mar 11, 2019 1:56 PM. I'm tempted by your offer, but with the other fires I've got going, it might just sit on my shelf instead of yours and still corrode . Sounds great too, but I don't even have a shelf to sit it on. Homeless at the moment . Like Michael, I'm tempted, but while the SPI driver side of things is appealing, actually manufacturing a board for the chip to sit on would be beyond by abilities at the moment. I also ordered a handful of these that will hopefully make up for declining eyesight and soldering skills. I went with a slow boat from China to keep my cost down as the Fry's equivalent (only better) is a small fortune each. I hope I can get it soldered as there are other projects that require parts in qfp that have my interest. I used to know people that actually made a living doing surface mount rework but we've gone even more towards throw it away now so having a professional do it in their spare time is out of the question. The soldering is no problem here; I meant creating a means of connecting the thing to the outside world, so to speak. I am no good at prototyping. An update nobody needs! Sheesh everything is tiny. When I was younger & I had all these ideas, I would just build them all. Now I get tired putting on my shoes. I'm not sure where this is going to end up but blew another couple of hundred$ on stuff I will probably never use. Conflicting thoughts in KISS vs. something nice. Lowest common denominator would be just hang the video chip on an Atari and bit bang the SPI. 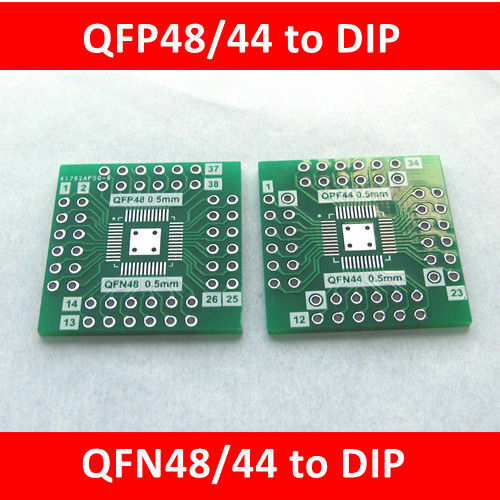 While I am thinking about that I abandon my plans for a 40 pin DIP 65816 and buy some QFP 65816. I also found some XC9572, obsolete Xlinix but still available on surplus market, that could add SPI on a 65xx system. I still haven't gotten firmed up on RAM but I did purchase a surface mount 128k static RAM. I face the fact I will probably burn up all the chips just learning how to solder QFP. I will probably get stuffed just learning how to turn on the soldering station I just bought hehe. Anyway, thinking Raspberry Pi sized device with SD, Video, but 65816 based. I picked up a 6522 because I love I/O but as a 40 pin device which would render everything else pointless. Almost 100% sure I will not get that far before senility hits. I am still thinking slow clock for this system but thing should fit in the footprint of a 40 pin DIP. The QFP are available from Mouser & they still had 30 left after I got me mine.